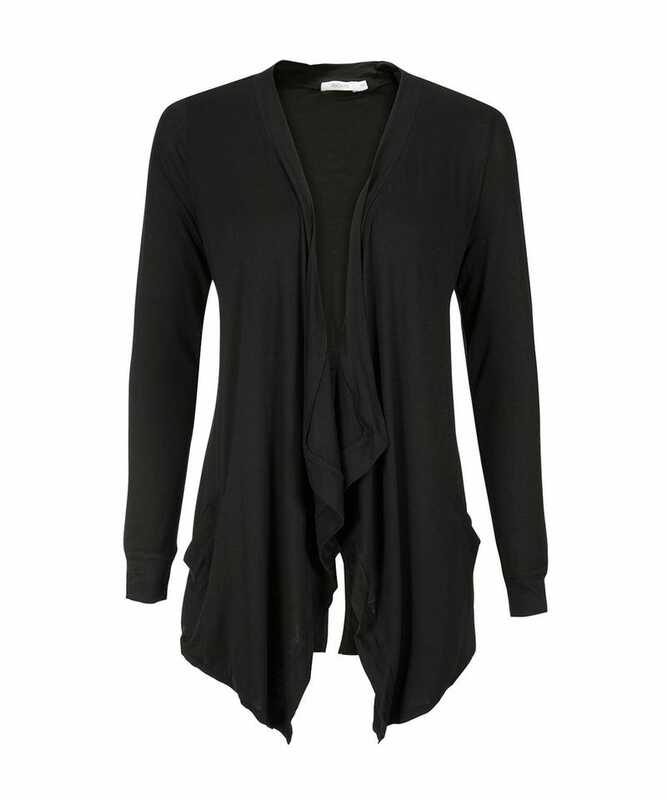 So one of my favourite places to shop online was having a sale, and this cardigan like thing was calling to me. Officially it is called Backslit Drapey Open Coverup, but I am just going to keep calling it the sweater thing. It was the little detail on the Backslit that sold me for some reason. It also has these awesome pockets in it. They are nice and deep and when I put my hands in them I feel like Doctor Crusher from ST:TNG. I went looking for a picture of Gates McFadden with her hands in her pockets to illustrate what I mean, but I couldn’t find one.